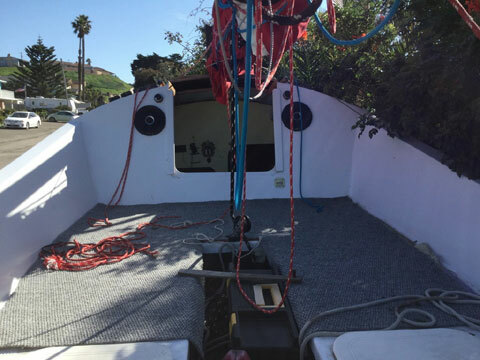 800 pounds, 400 in the boat and 400 divided between the bilge and keel. Lead in the bilge is removable. 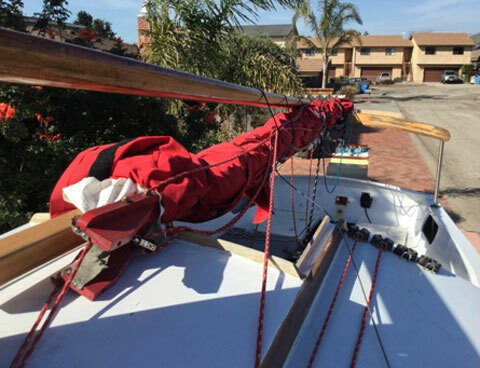 Mainsail and jib are built from a kit from Sailrite. 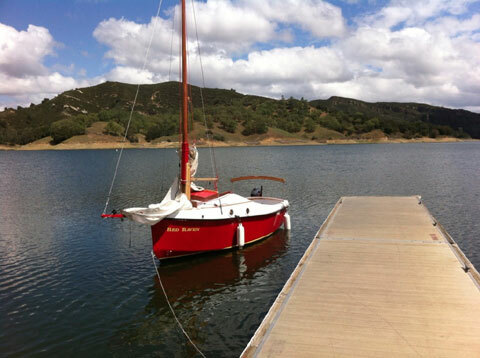 The Sailrite plans were designed by the boat designer, i.e., they are made for this boat. It has a rotating dropboard which is sticky but works fine. 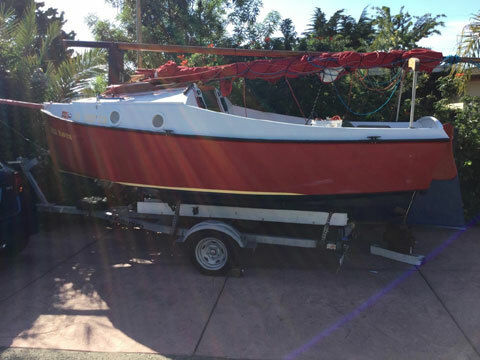 Like all wooden boats I'm sure it could use a little paint. Comes with two anchors and chains, line, the two sails, a GPS/depthfinder, 2 yr old EasyLoader galvanized trailer, stereo, lights, and misc. rusty tools (worthless). 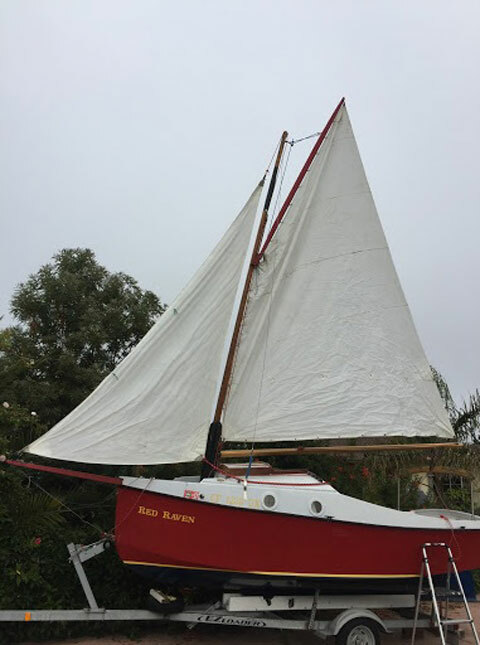 Turns and sails quite well. Easy to manage solo.